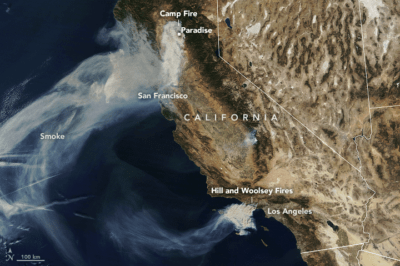 The continual arrival of smoke from the Camp Fire has pushed cities in the northern California area to air pollution levels to some of the highest around the world. 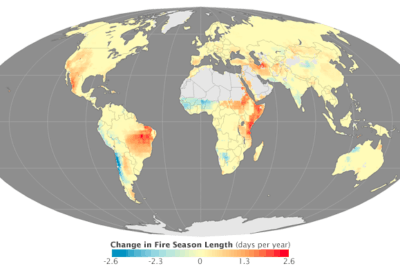 Changes in fire season length from 1979 to 2013. 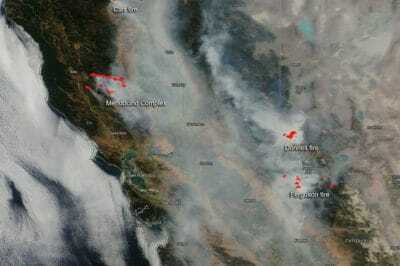 Map by Joshua Stevens, using data provided by Matt Jolly, USDA Forest Service. 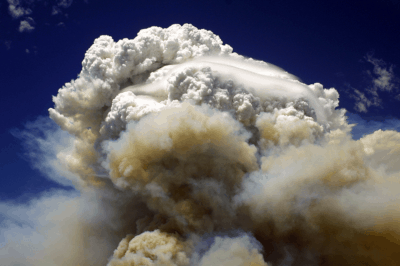 The research on fire seasons indicates that around 25% of Earth’s vegetated surfaces now experience a longer fire season.